The registered collections of flowering plants in the Herbarium. Material obtained with resources other than the Centre’s when means or funds of the JBV are used for their preparation or conservation, unless otherwise regulated by law or agreement. The material contributed by personnel linked to the JBV and obtained as consequence of its work. The JBV can also be depositary of collections when such trusteeship is formalized by means of the corresponding agreement with the title holder of collection. To consult the Herbarium it will be necessary to hand in a duly completed Visitor’s Card provided by the Centre with the authorization of the Curator. The application will also have to include the reason for the visit and this form is available at reception. Visitors are also requested to sign the Visitors’ book provided by the personnel of the Herbarium, in which the visitor’s data, the date and the material consulted will be entered. For visits exceeding three days, or to make use of special services (microscopy, photographs, extensive consultations, computer data, etc.) it is advisable to communicate this at least one week in advance. Any specimen brought in from outside the Herbarium installations will be kept frozen for 48 hours on the premises of El Botànic, in order to avoid infections. For this purpose it will be necessary to make prior contact with the Curator. For the same reason it is forbidden to remove any voucher from the Herbarium. There is free access to vouchers in the Herbarium, and specimens in the compact cupboards can be removed, but not returned, to their place. They should be returned to a Herbarium staff-member. Specialists are requested to identify vouchers being studied by the use of revision labels. The taxon, the name of the researcher, the date and Institution of origin will be entered, clearly, in indelible ink. Vouchers reviewed will be given to the staff member in charge. In the case of mixed material, a number or letter must be written in pencil at the foot of each specimen and the same number or letter on the corresponding revision label, for its correct identification. No unit or fragment will be separated from the voucher. No marks or annotations will be made on vouchers or labels other than those necessary for identification of specimens. Dissection of specimens from the Herbarium are only allowed - and with previous authorization - in such cases where this is essential for identification purposes. All dissected fragments, even micropreparations, will be placed in an envelope and attached to the voucher. Dissection is forbidden in the case of single-specimen vouchers and, particularly, of unique-type materials and/or those of historical value. Other than with the express authorization of the Curator, it is forbidden to extract samples for studies of palynology, anatomy, phytochemistry or any others that imply destruction of all or part of the Herbarium specimen. In the event it is authorized, the results/remains of the destructive studies will be attached to the voucher. We will be glad to receive a copy of any publication that is based on material of the VAL Herbarium. The Herbarium of the University of Valencia will remain open to the public Monday through Friday, except holidays, from 9 to 14 h, throughout the year. Outside this schedule, it will only be possible to work with the express permission of the Curator. Smoking, drinking and eating are forbidden in the Herbarium establishment. 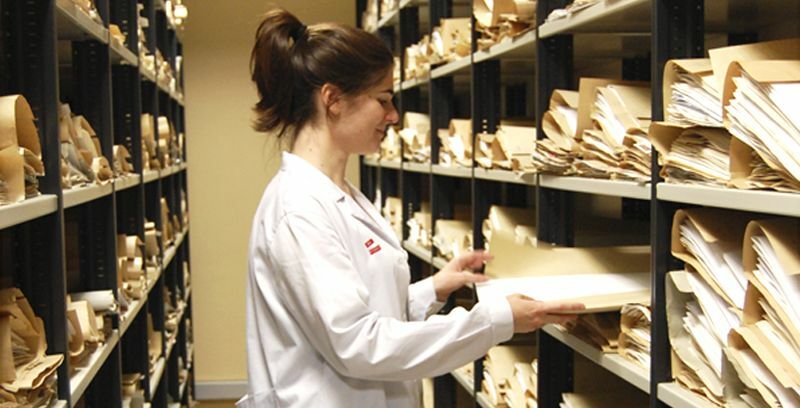 The Herbarium of the University of Valencia is accessible to all bona fide researchers, qualified to study the collections, and involved in specific work programmes. The VAL Herbarium does not as a rule lend prototype, historical or any other specially delicate material, although provision of photographs of vouchers of such material is possible. Specimens will be sent on loan only to recognized botanical institutions, and in no case to individuals. The VAL Herbarium reserves the right to reject requests when, in the Curator’s opinion, the institution applying for permission does not offer the necessary guarantees. The loan requests must be sent in writing to the VAL Herbarium , by the Curator or Director of the institution who will assume responsibility for the conservation and return of the material. In the request, the name of the taxonomist or specialist who will work with the material must be provided, and also the object of the work that is planned. Whenever possible, the specimens applied for on loan will be individually specified. It is the Curator’s prerogative to divide the loaned material and send it in separate parts when the requested material is too large. The specimens are normally lent for a maximum period of six months, although the earliest possible return will be appreciated. Material will dispatched with the maximum care in packing, to avoid deterioration during transport. If it were necessary to retain the material under study for a longer period, this may only be done after receipt of an express authorization from the Curator, to whom the request should be made before the end of the initial term. However, the VAL Herbarium reserves the right to request the return of the loan when it considers opportune. Without express authorization, the specimens on loan must not be relocated or moved from the receiving Centre or Institution.